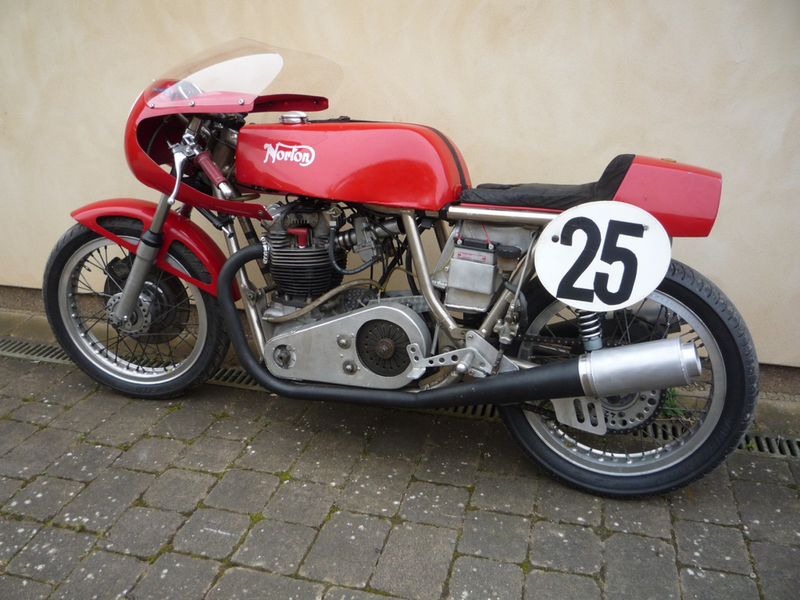 According to the seller, the chassis was professionally overhauled at the start of the year, with overhauls of the front forks and brakes, new Avon race tyres, new screen, rewiring and general tidying up. At the same time the old 2-into-1 exhaust was replaced by a new twin exhaust system with track silencers (important if it is to be campaigned on UK tracks), the Amal 32mm Mk2 carbs were overhauled, and a new Mk 4 Boyer ignition system fitted. The rest of the spec includes a 5 speed AMC gearbox with Quaife gears, alloy petrol and oil tanks, belt primary drive, tuned engine with 4S camshaft and high compression pistons. 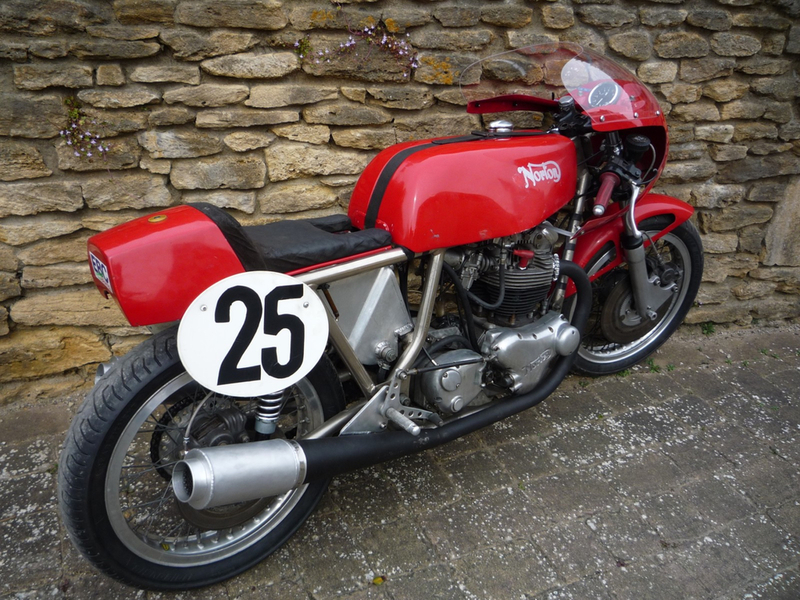 CRMC Registered, the bike is sold with some history, including period photographs of it being raced – such as the one shown topping The Mountain at Cadwell Park. There are also some spares included in the sale. For further information and for viewing, contact Bob on 01373 834407. The machine is located in Somerset, near Bath.